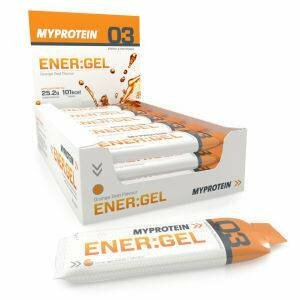 ENER:GEL is a unique isotonic energy gel containing both Electrolytes and B Vitamins. Each 60ml sachet of ENER:GEL contains over 21g of isotonic carbohydrates. The unique formula has been scientifically designed to help promote endurance levels during prolonged exercise through its combination of carbohydrates and electrolytes. This premium energy gel includes an essential blend of electrolytes to encourage proper hydration levels whilst supporting the production of energy through its optimum inclusion of B Vitamins. Designed to be consumed before and/or during endurance based activity ENER:GEL can help fuel your exercise and improve your overall performance without leaving you bloated or full.